After a year of not cooking much and not blogging at all due to illness, I’m ready to start again. We celebrated the return of two of my sisters from overseas and the end of my treatment for cancer with a family dinner. As usual we all brought a part of the meal. 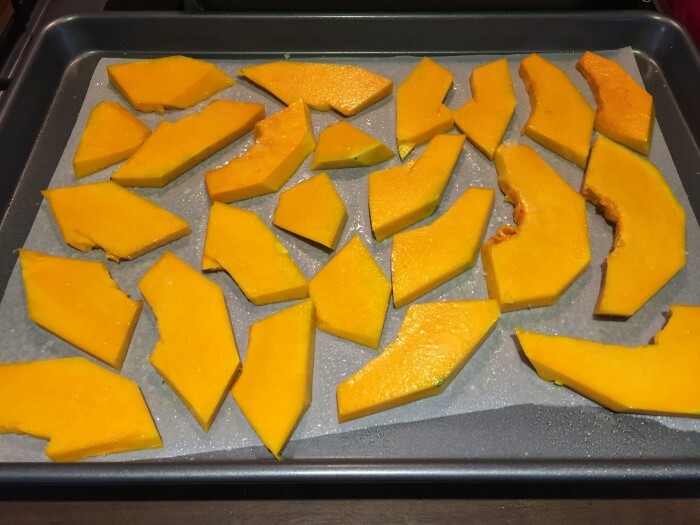 This time I made a dish I’ve been meaning to blog about for ages – the Toulouse Lautrec Gratin of Pumpkin from Jane Grigson’s Vegetable Book. 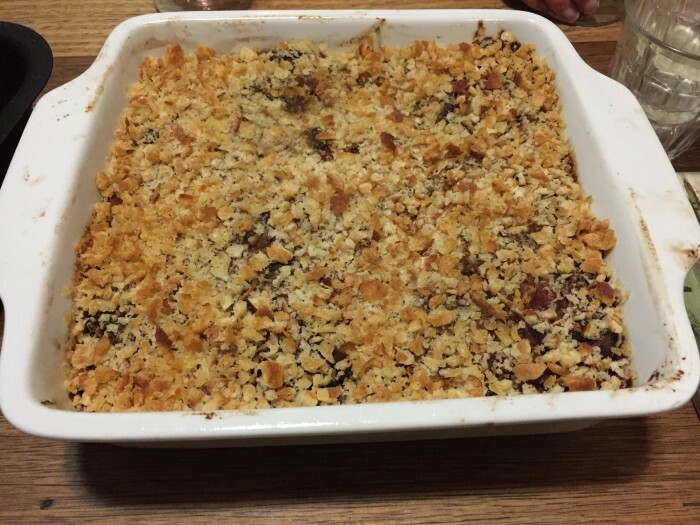 It is a delicious dish of pumpkin, layered with an onion and tomato sauce and topped with breadcrumbs. It is actually a recipe from Henri Toulouse Lautrec that was part of a collection of recipes published by his friend. It normally forms part of our family Christmas lunch and I’m not sure why I hardly ever make it at other times, other than that it is a bit lengthy to make. I’ve simplified the original recipe a bit, it calls for the pumpkin to be floured and fried. I’ve changed this to roasting the pumpkin instead. I also cut the pumpkin a little thicker and use more tomato for a slightly wetter dish. Peel, seed and slice the pumpkin into slices about 7-10 mm thick. Lay in a single layer on a baking sheet and spray with oil. Bake in an oven at 180 degrees C until just short of tender. Meanwhile slice and fry the onions in oil until soft. Add the tomatoes and cook for 5-10 mins to reduce a little. Layer the pumpkin and tomato mix in a baking dish starting and finishing with a tomato layer. Top with breadcrumbs, spray the the top with oil and bake at 180 degrees C until the top is golden. Thanks for fixing the comments! Welcome back!! I have a book of Toulouse Lautrec’s recipes, published by his friend. It is called The Art of Cuisine, and shows how he cooked such flavoursome meals with local, cheap ingredients. He loved to cook and was always feeding his friends. I have tried many of the vegetarian ones, and have loved them all. Great to see this one, which I haven’t tried yet. I will put it on my list to do so. Yes Jane Grigson’s Vegetable Book, where I first found this recipe, mentions The Art of Cuisine. I must find a copy.